Installation view: "Manuel Solano: I Don't Wanna Wait for Our Lives to be Over" at Institute of Contemporary Art, Miami. Nov 1, 2018 – Apr 14, 2019. Photo: Fredrik Nilsen Studio. “I Don’t Wanna Wait for Our Lives to Be Over” marks the first solo museum exhibition in the United States for Manuel Solano. Working across mediums, Solano explores issues of identity and its formation by drawing from their personal life, memories, and popular culture. That art and images are central to the construction of our perception and to our lives is crucial to Solano’s practice. The artist’s previous series “Blind Transgender with AIDS” is a commentary on the experience of losing their sight due to an HIV-related illness and recreating a visual arts practice following blindness. 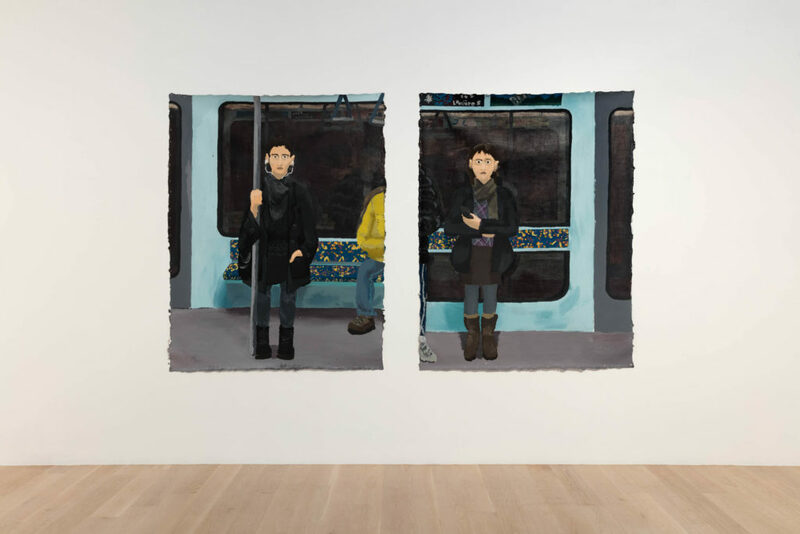 The centerpiece of “I Don’t Wanna Wait for Our Lives to Be Over” is a painted diptych that takes on the themes of (mis)recognition and identification inspired by the artist’s memory of an encounter with a female stranger. Solano felt this stranger bore an uncanny resemblance to themself, and experienced a strong feeling of connection with her. This long-passed moment of recognition and identification lingers in Solano’s mind to this day. 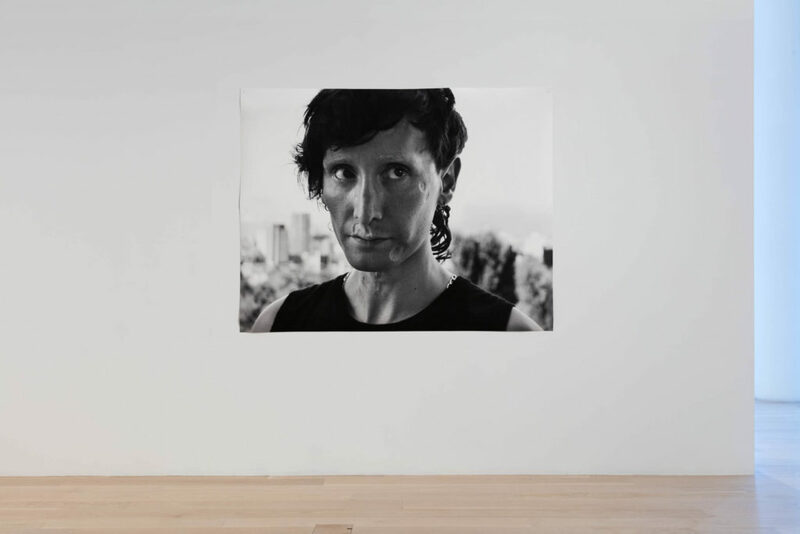 The artist also collaborates with their mother, Claudia, an amateur photographer who abandoned her practice in order to raise her family and is now largely Solano’s caretaker. Both artist and mother have created portraits of each other through painting and photography, respectively. These projects are complemented by video and installation works. Manuel Solano (b. 1987, Mexico City) completed their BFA at La Esmeralda, the National School of Painting, Sculpture, and Printmaking, Mexico City, in 2012. Solano’s work appeared most recently in the 2018 Triennial: “Songs for Sabotage,” New Museum, New York, and the group exhibition “El Chivo: Expiatorio: Sida + Violencia + Acción,” Museo de la Ciudad de México. Their work has also been included in solo and group exhibitions at the Portland Institute for Contemporary Art, Oregon (2017); Museo de Arte Carrillo Gil, Mexico City (2016); and Museo Universitario del Chopo, Mexico City (2014). “Manuel Solano: I Don’t Wanna Wait for Our Lives to Be Over” is organized by ICA Miami and curated by Alex Gartenfeld, Artistic Director. 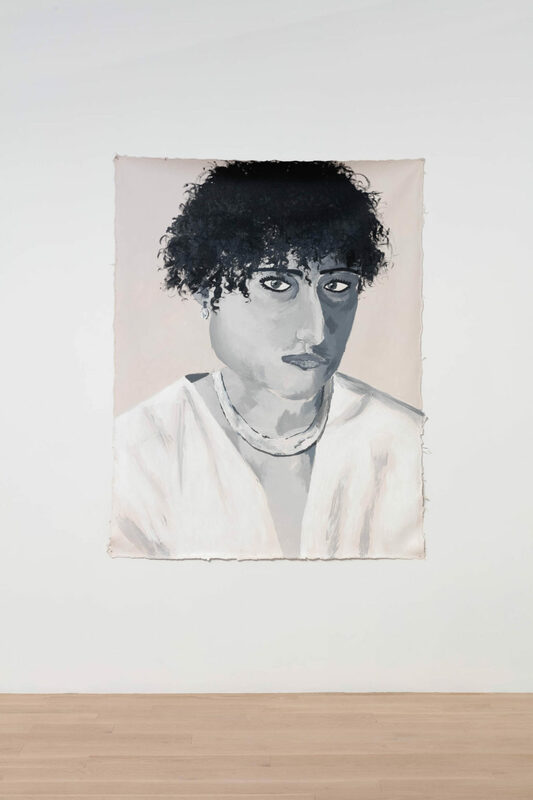 This exhibition is presented in the Ray Ellen and Allan Yarkin Gallery, ICA Miami’s space dedicated to providing a platform for emerging and under-recognized artists from around the world early in their careers. 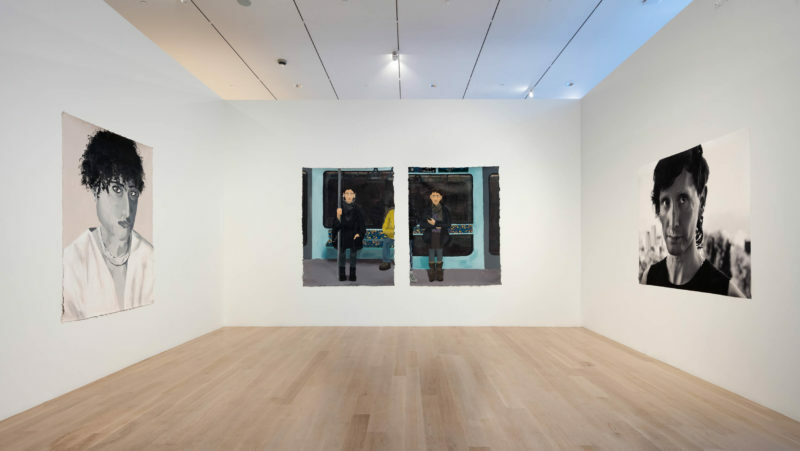 This exhibition is funded through the Knight Contemporary Art Fund at The Miami Foundation, and is made possible by ICA Miami’s Innovation Partner, MINI. Additional support is provided by the Consulate General of Mexico in Miami. Claudia Lozano, Chico, 2018. Digital photograph. Courtesy the artist. Installation view: "Manuel Solano: I Don't Wanna Wait for Our Lives to be Over" at Institute of Contemporary Art, Miami. Nov 1, 2018 – Apr 14, 2019. Photo: Fredrik Nilsen Studio. Manuel Solano, Claudia, 2018. Acrylic on canvas. Courtesy the artist and Efrain Lopez Gallery, Chicago. Installation view: "Manuel Solano: I Don't Wanna Wait for Our Lives to be Over" at Institute of Contemporary Art, Miami. Nov 1, 2018 – Apr 14, 2019. Photo: Fredrik Nilsen Studio. Manuel Solano, In the Metro or She's Not Pretty, 2018. Acrylic on canvas. Courtesy the artist and Efrain Lopez Gallery, Chicago. Installation view: "Manuel Solano: I Don't Wanna Wait for Our Lives to be Over" at Institute of Contemporary Art, Miami. Nov 1, 2018 – Apr 14, 2019. Photo: Fredrik Nilsen Studio.